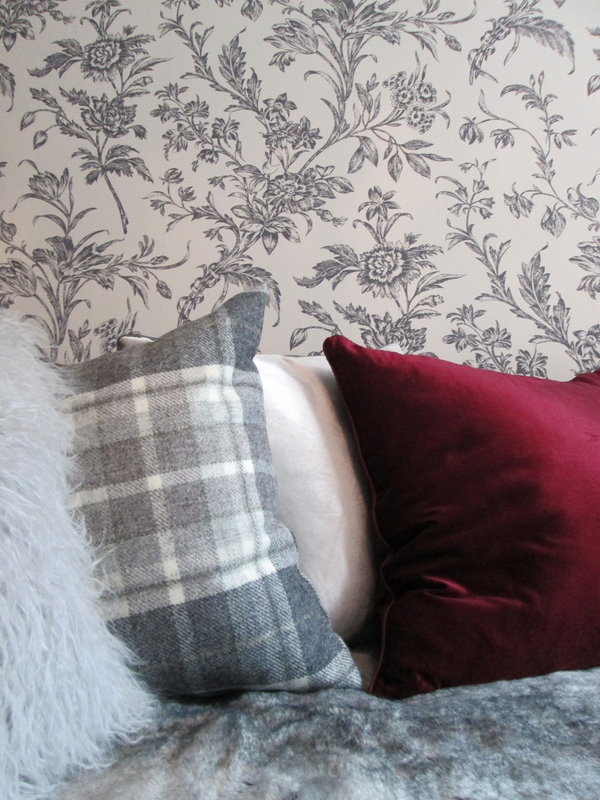 Updating your interiors can be an incredibly daunting task, which is why we want to introduce you to our talented team of Interior Designers who work as part of the Laura Ashley Design Service. 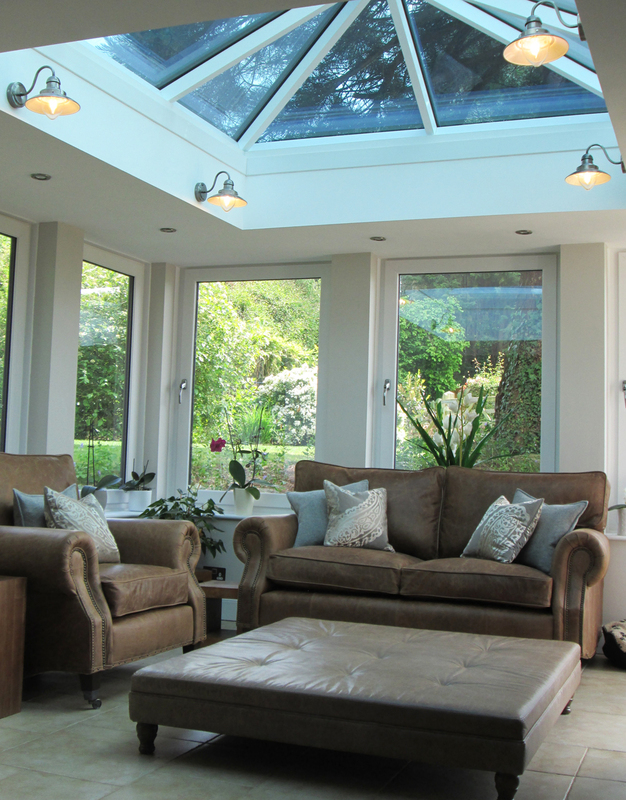 Their interior knowledge is second to none and they certainly make their client’s homes a happy and welcoming place. On my initial visit, the guest bedroom and dressing room were two separate rooms, both were very dark, one being used as an office and the other as a nail studio. The brief was to make them into a guest bedroom and dressing room creating a relaxing, luxurious and brighter atmosphere. The initial step was to have the central wall knocked through to open the two rooms into one. Josette dove grey creates a romantic relaxed feel to the bedroom with soft hints of Amethyst as an ideal contrast; this was used with the lighting, a gorgeous trim on the curtains and cushions. Lots of different textures of fabrics were used in the bedroom to give a luxurious ambience to the room, the main focal point is the stunning crushed velvet bed. 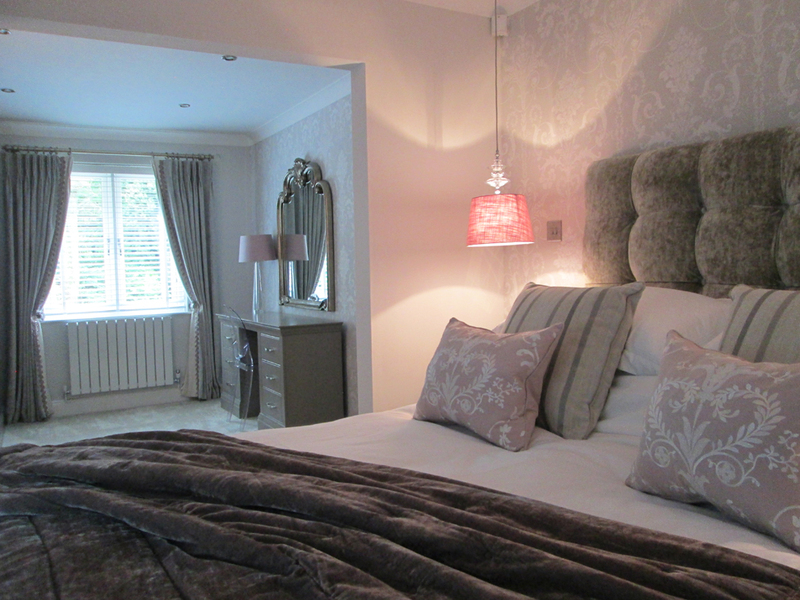 We wanted to use lighting in a different way around the bed whilst leaving space on the bedside cabinets. Lloyd is a favourite print of my clients and mine. 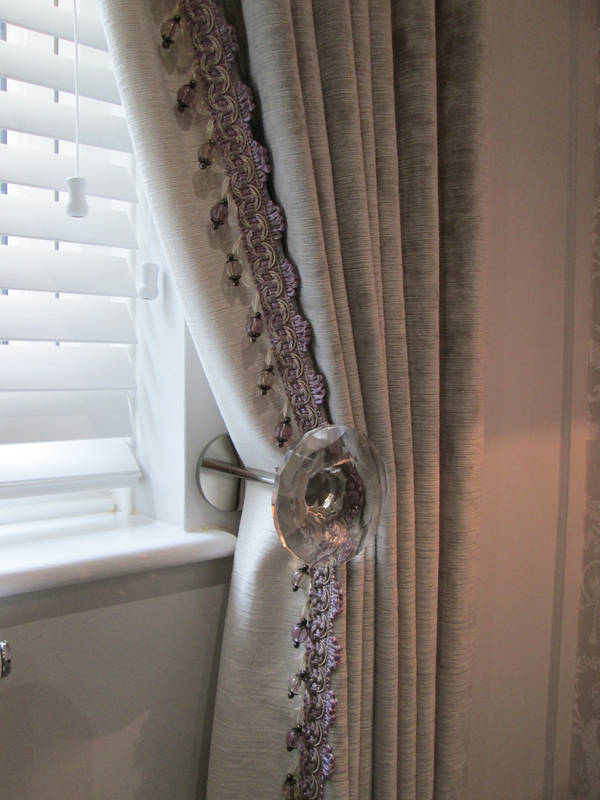 It was previously used in the nail studio so the client already had the curtains. 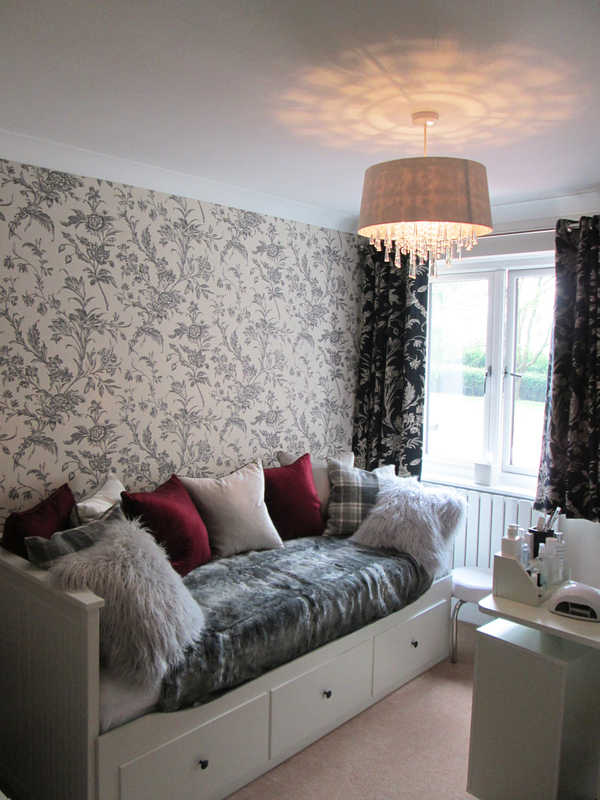 This room needed to act as a spare bedroom for the client’s granddaughter as well as a nail studio. The Lloyd print was used on two walls this time so the room did not feel so dark with the charcoal colourway and then the other two walls painted. The day bed is brilliant as it is so versatile in being used for clients as well as acting as a bed for the granddaughter. The daybed is dressed with a multitude of differently textured cushions, by adding the Nigella Ruby as a contrast this room also has the luxurious element the main guest bedroom has. The hallway was very dark with red carpet and mahogany woodwork so Mrs Nicoll wanted this much brighter with a modern feel. 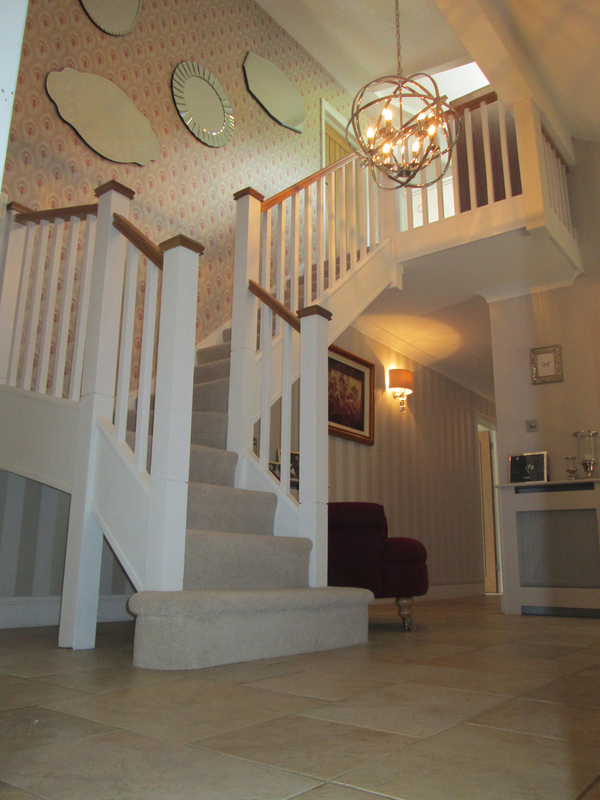 We wanted all the rooms to flow nicely off the hallway so chose the Montague Ruby and Lille Marble for the walls. 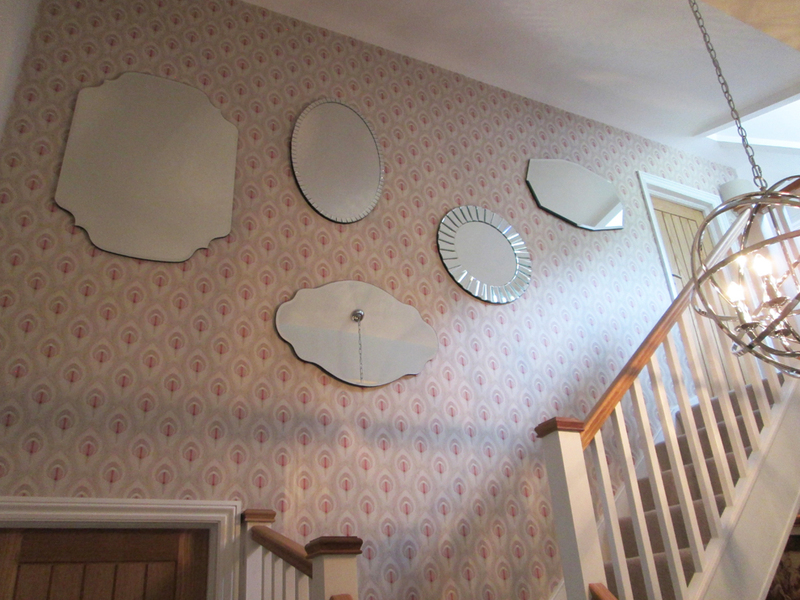 Clustering mirrors is a very fresh way to place mirrors, we went for 5 different shaped mirrors at the top of the hallway and its double height meant we could a larger size. This technique also works well with smaller mirrors. 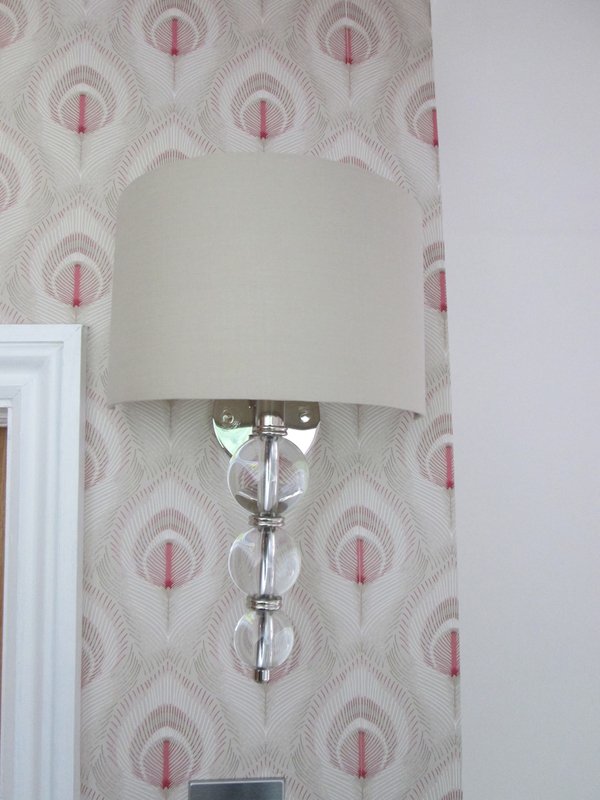 Lighting is crucial in the hallway, we used the Lille wallpaper so the Selby wall light reflected light off the pearlised sections of the wallpaper. All the wood work was lightened to an off white and the carpet was changed to a more neutral colour. To create a more contemporary feel in the Kitchen we used two different tones of paint to create a subtle feature wall and the Emperor Paisley to add some luxe to the room. 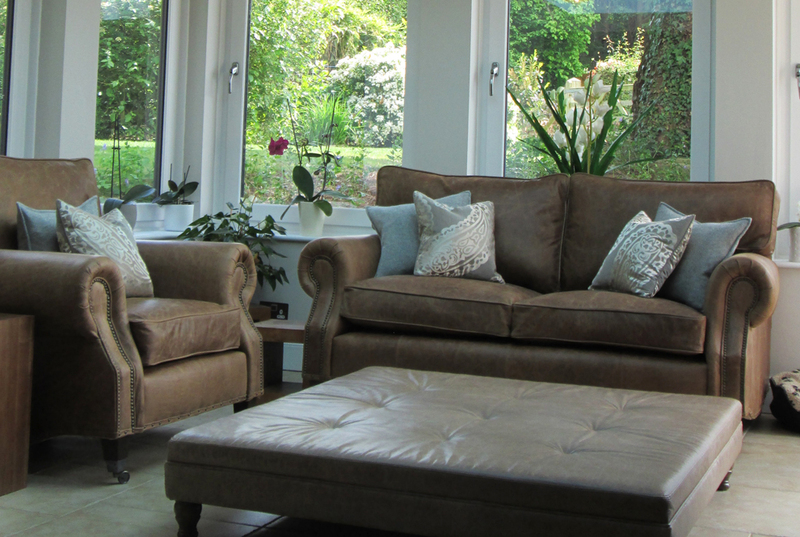 The sofas were changed from red to brown leather with the addition of bespoke Emperor Paisley cushions paired with the Romsey steel cushion. The Corbridge lantern wall lights were used to add a subtle modern touch that creates a lovely soft lighting in the evening instead of using the brighter spotlights. 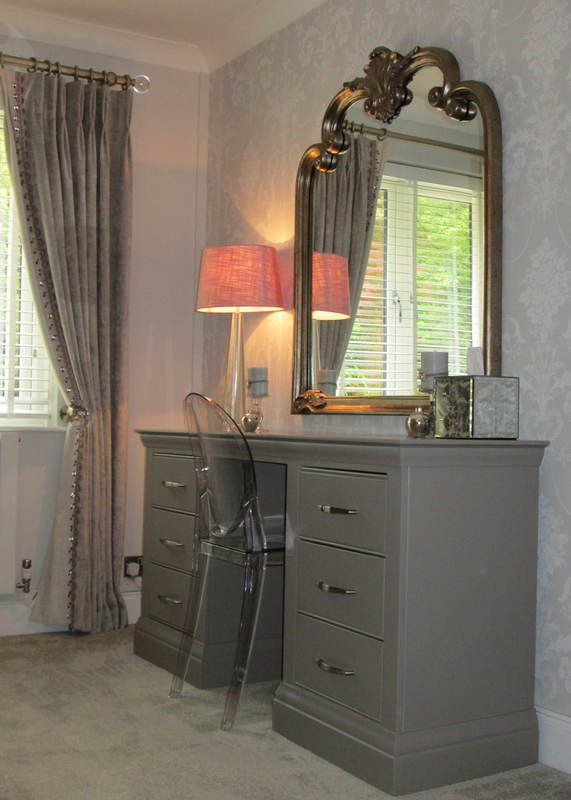 “I had used the Laura Ashley design service a couple of years ago for a bedroom so I had no hesitation to do the same again for a bigger project. At the first consultation with Izzy in 2 hours, we had picked everything for the first 2 rooms. I gave her my brief and basic colours and she then did her magic. The knowledge she has of products, colour palettes and basically what just looks good together was amazing, from paints and wallpapers to fabrics, lighting and accessories. She had everything put together in a quote within 24 hours and samples came within a couple of days. We had another meeting at the store just to go over the finer points so I was completely happy, and the order was placed. I knew exactly when to expect everything, most of it came very quickly, only special design things taking a little longer. I am over the moon with the end result, I could never have achieved this without Izzy. She took all the hassle out of the room transformation, my only regret is not taking before photos to show what a fabulous job she had done. How much does the design service cost? Will the designer visit your home? 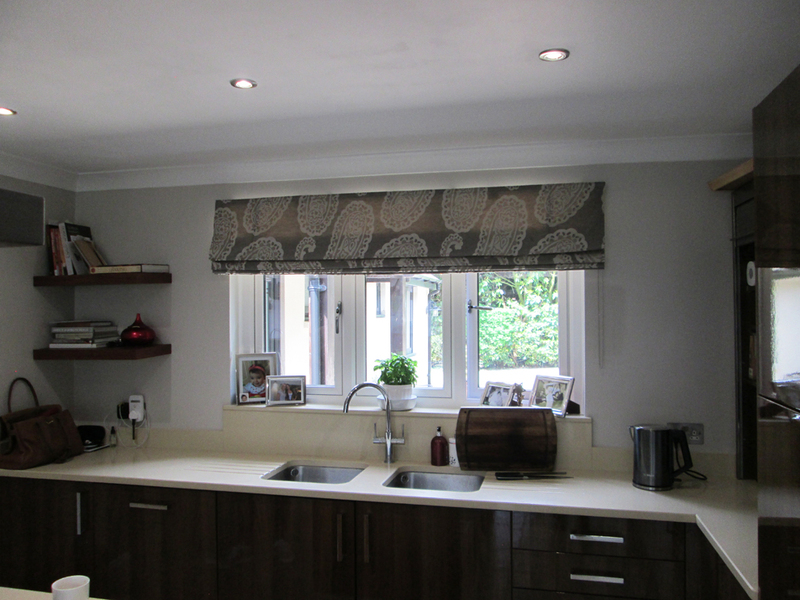 The cost is £100 for up to 2 rooms and £200 for larger projects.